118 registered members (928, 2015_PSD, aba4430, 08z06, 92saturnsl2, 19 invisible), 1,934 guests, and 26 spiders. 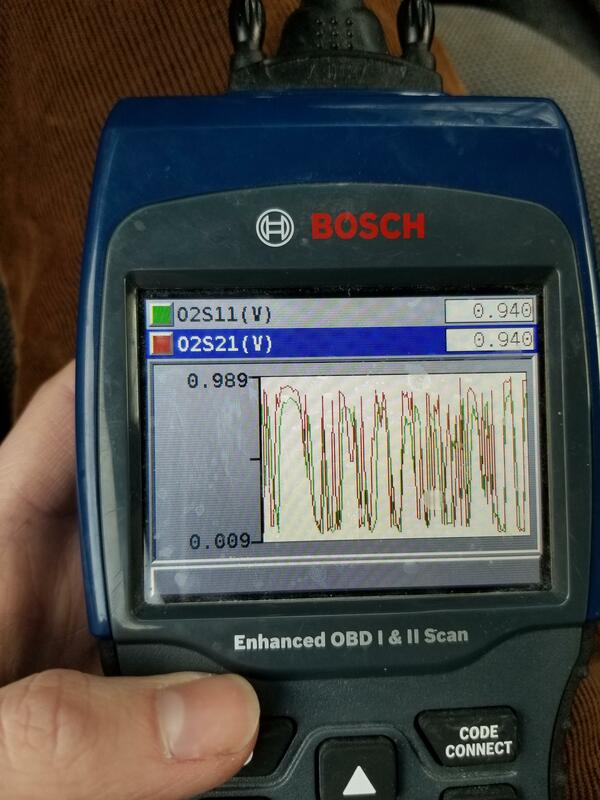 Just picked up this car, it has a code for a bad O2 sensor (b2s1) but the sensor seems fine as per the data on the scantool? PS: I also have a P1233 code, which I have to troubleshoot after, but one thing at a time I guess since they seem like two unrelated things. Last edited by dogememe; 02/09/19 07:28 PM. Our 09 Grand Marquis throws that code about once a year. Then it stops. I ignore it. I can't ignore it, unfortunately. Code = fail smog = no registration. My Marauder threw the same code. My data looked just like yours, but the PCM didn't like it. A Motorcraft sensor is around $45, just replace it. Ok, thanks all, will replace it tomorrow. It looks like this one is easy to get to from above, it's right next to the steering shaft (which was recently replaced, hmm...) Just not sure how to get to the connector. Guess I'll figure that out once I yank it out. I hate Bosch O2 sensors but that's what I'm going to be installing since Denso and Motorcraft are special order for this applies. Yeah, they won't let it pass smog with that code. Go ahead and replace both sensors, since one started acting up, the other one won't be too far behind. 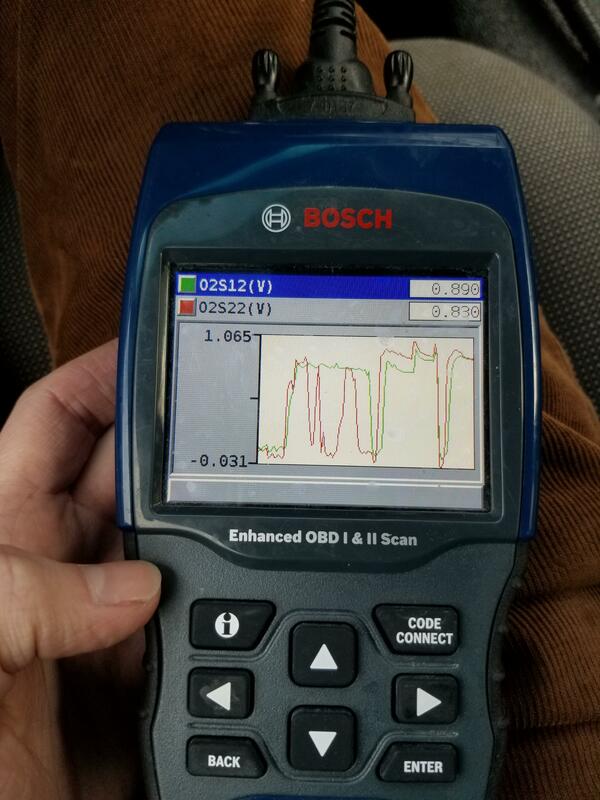 The OE sensor is NTK, I'm actually running Bosch, which has been my go-to, never had any problems. The connectors are a bit of a pain in the back to get to, and a bit of a reach. The connector was tough on mine too, but at least with a SOHC you can get to the sensor. The heads on the DOHC 4.6 are so wide that I had to do it from below. I hope I can do it from above? Going to try to change it on my lunch break! Ok, I unscrewed the old sensor and installed the new one. Can I unplug the old one and plug the new one in without getting underneath the car? I can't remember exactly where the connector is but I remember having a hard time disconnecting and reconnecting. Follow the wire back and find the connector. Yeah, I found the connector, and by pulling the old (still connected) O2 sensor upwards I can almost get to it, but it's just a little too deep between the engine and firewall to get to it. I feel like this should be easy but I'm missing something obvious. I'm trying to avoid getting underneath the car. Well, sometimes I try too hard to be lazy. I drove the car onto ramps and had it all done in about 30 seconds. Getting to the connector from underneath was ez-pz.